Okay Gymkhaners, We’re a little late this month but we appreciate your patience. It’s already time for the MGym® TectTip! Last month we talked about not using the clutch as your running a MotoGymkhana Course, this month, we’re going to talk about your eyes. 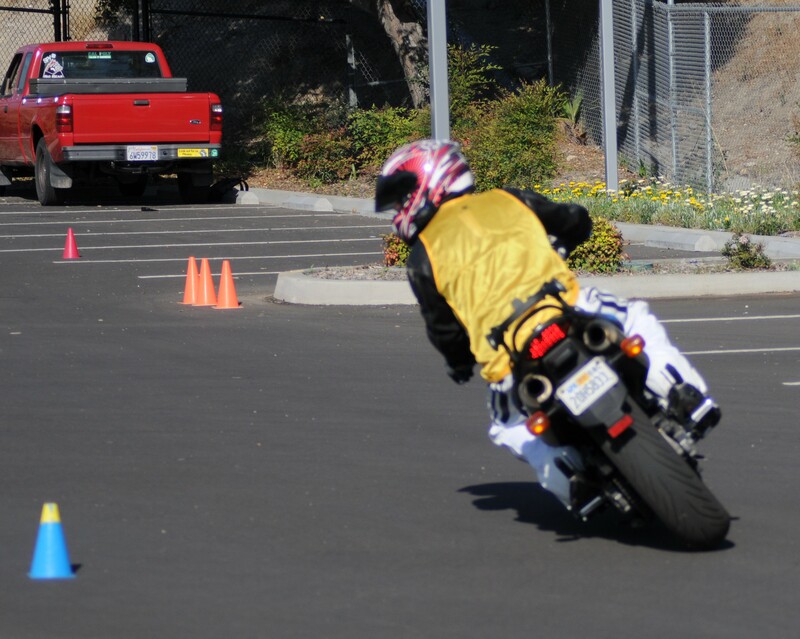 We know that “target fixation” when riding a motorcycle is dangerous, particularly if you’re trying to avoid something on the road, etc… The exact same thing is true for M Gymkhana®! If you look at the rider below, although he doesn’t want to hit any cones (time penalties), he DOES NOT want to look at it directly. Think of a cone as “Medusa”, (the mythological snake-haired character, who if you looked directly at her, you’d turn to stone). The rider’s eyes below are not on the cone he’s currently at, but on the next obstacle. The reason why he’s so wide to the cone below is because he’s looking ahead on course to get the correct line for the next obstacle. When at speed, on the clock on a M Gymkhana® course, obstacles come quickly; you have to “stay ahead of the game” so to speak. The Course Walk before each Round is crucial, because it really gives you an opportunity to absorb as much as possible about different lines through the course to reduce the tenths between obstacles to get the quickest time possible. When on course you must get your eyes, even you head turned to the next obstacle and avoid “target fixating” on the cone that you are currently at, because this will, in effect “stone you” (Medusa) where you slow dramatically in order to not touch the cone. By the time you finally get your head up and eyes ahead you’ve lost valuable time. Have an idea of where the cone is, and place the bike in a position where you can avoid it when on the brakes and most importantly when getting on the throttle! ← Oct. 18th – MGX® Day Session Coming to the OC!! !